I had to share this simple tiny table recipe. Simple is the name of the game in our tiny house and cooking. I found this amazing green bean recipe on Pinterest, but the star of the show here is not the beans but the sauce that goes on them. I am now imagining using this sauce on all the things! We had bought some green beans and I expected that we would just toss them in some olive oil with garlic, salt and pepper. I decided to look up some recipes really quick instead. We had all the ingredients to make this happen so I whipped it up. It was so delicious. Now I want to make the sauce for fish and meats and stir fries! 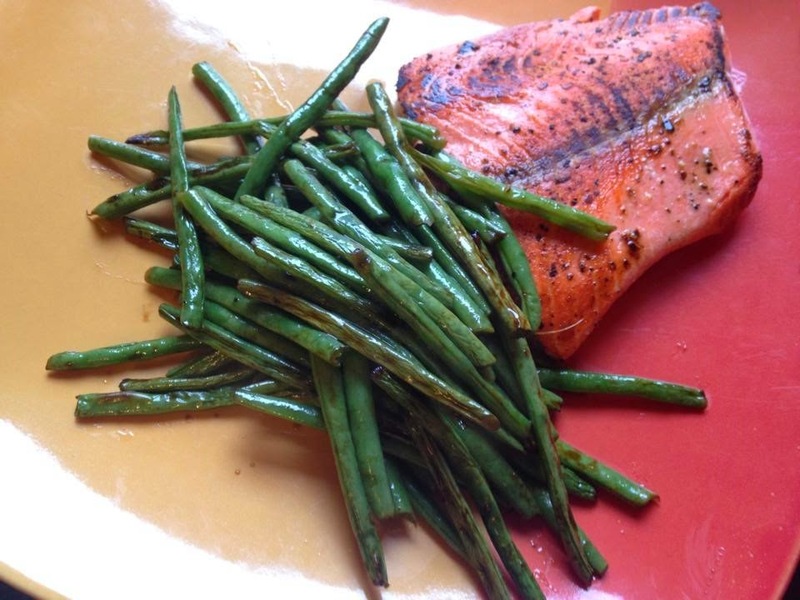 We paired the green beans with salmon and it was a delicious, easy to prepare dinner that can be made on the grill (for the fish) and with the camp oven.